Sandwich Loaf - Gluten, grain and refined sugar-free! I was on the Specific Carbohydrate Diet (SCD) quiet a long time before I dared to make a sandwich loaf. I worried that being the bread-lover that I was, no grain-free bread would ever live up. However, as the summer approached this year I needed a good sandwich loaf for convenience. We love family picnics. One of favourite things to do at the weekend is pack up the car for the day and set off in any direction. Nothing beats the freedom of staying outside in the fresh air all day and visiting places we’ve never been. 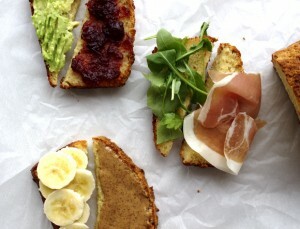 Family picnics require a robust sandwich loaf that will hold all our toppings! I love salads but there is something amazing about tucking into a sandwich for the first time in nearly two years. I tried many grain-free bread recipes in the past and eventually gave up as they were stodgy and too heavy. Determined to make a light and delicious sandwich loaf, I experimented until I eventually came up with this recipe, which I am very proud of. The loaf keeps really well for a week in an airtight container in the fridge. 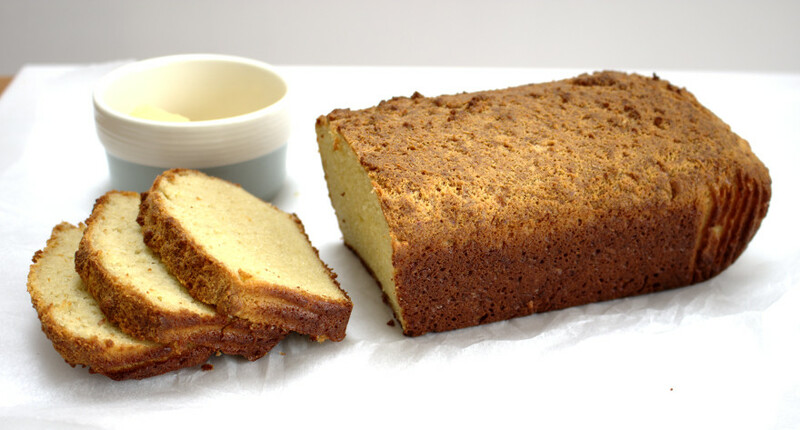 It’s perfect for sweet or savoury toppings and even makes a fantastic french toast! This freezes really well so when you can, double the recipe. 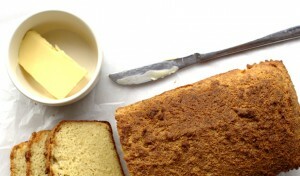 You can either freeze it as an a loaf or slice and freeze them separately. 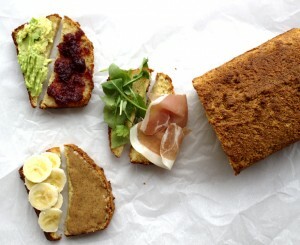 A delicious gluten and grain-free, robust sandwich bread. Great for picnics or lunches. Also, suitable for the Specific Carbohydrate Diet (SCD). Preheat the oven to 160°C Fan, 180°C electric, 350°F or gas mark 4. Combine all the ingredients in a powerful blender and blend until well combined. 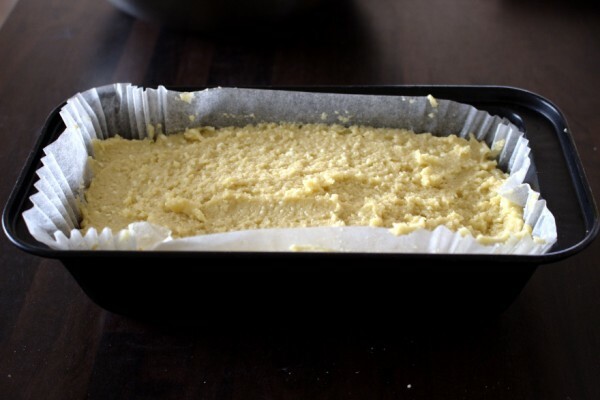 Pour into a loaf tin lined with parchment paper. Bake for 40-45 minutes until cooked and golden brown. Hi there, can you please tell me the size of the baking pan you use. Is it the “standard” SCD pan 4×7 or 5×8 or anything bigger ? Thanks. I used a standard 5×8 inch loaf pan. Hope it turns out well for you! In the uk I can’t find dry curd cottage cheese can you suggest a substitute please?